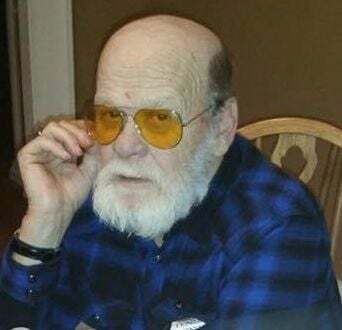 PORT BYRON — Ronald E. Wilson Sr., 73, of Port Byron, passed away Monday, Feb. 11, 2019, at Auburn Community Hospital. Ronald was born in Auburn on July 14, 1945, the son of Eugene and Julia Wilson. He was retired from Conrail after many years of service. He enjoyed making things out of wood, working on lawnmowers, and collecting his cans and bottles. Ronald is survived by his companion of eight years, Shirley Hayes; his children, Tina Workman, of Port Byron, Tammy Rand, of Cato, Ronald (Kerry) Wilson, of Port Byron, Jeannette Dierksen, of Port Byron, and Michael (Polly) Wilson, of Port Byron; his siblings, Aaron (Lila) Wilson, of Port Byron, Brenda Dutcher, of Savannah, and Roy (Faye) Wilson, of Cato; 14 grandchildren; 11 great-grandchildren; and several nieces and nephews. He was predeceased by his parents, Eugene and Julia Kilmer Wilson; his brothers, Elmer, Jimmy, Eugene (Iky), Wayne, and Lynne; his sisters, Elaine Hurd, Nina Laird, Velma Strassle, Julia Pickard, Blanch Larrabee, and June Rusaw; and the children’s mother, Marcia Wilson. Friends are invited to call from 4 to 6:45 p.m. Friday, Feb. 15, 2019, at the Audioun Funeral Home LLC, 218 Main St., Port Byron. Funeral services will follow at 7 p.m. at the funeral home with Kathy Wilt officiating. Spring burial will be in Pine Hill Cemetery, Throop, N.Y. In lieu of flowers, contributions to Conquest Fire Department, Slayton Road, Port Byron, NY 13140.
the life of: Ronald E. Wilson Sr.